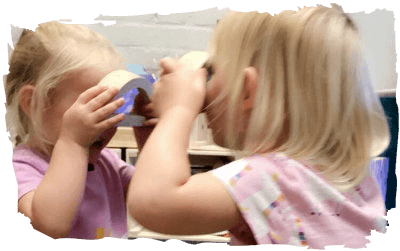 An environment designed to promote skills already learnt while enhancing communication and problem solving skills. 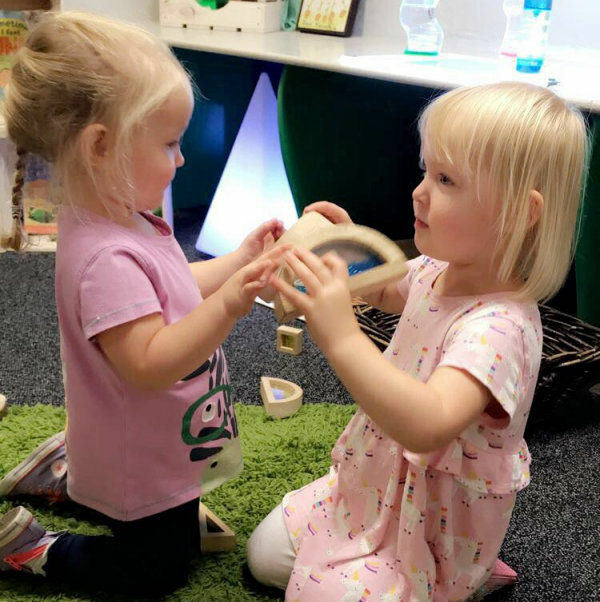 We encourage children to socialise with others and experience play in small groups as well as exploring and investigating new friendships, children's circle of friends and contacts become ever wider. There is ample opportunity for the children to develop their gross motor skills within the Sunflower room. 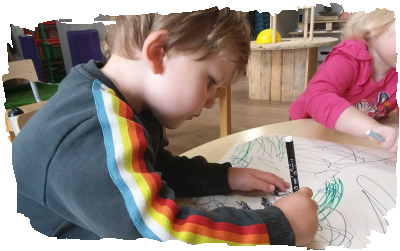 We provide chunky mark making materials and chunky tools within the painting and mark marking area in order to develop and strengthen muscles in the children's hands and lower arms, this leads to the children developing pencil control ready to begin early writing skills. 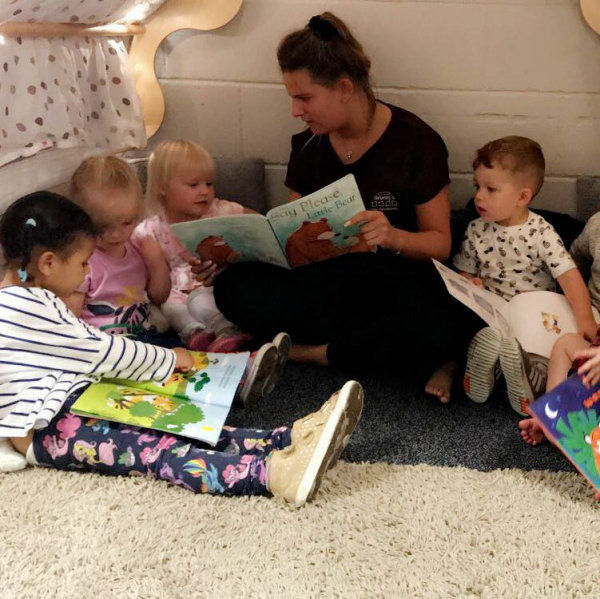 Coach Brian visits the nursery every Thursday afternoon for children aged 2-5 years. 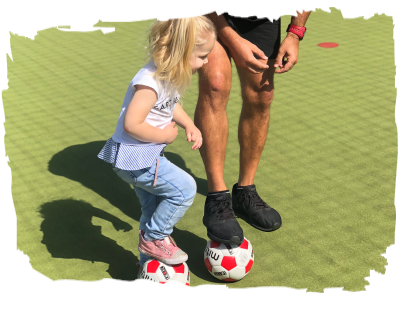 The class provides a positive, fun filled football programme for all the children where invaluable social skills, listening skills, sharing, taking turns and teamwork are conscientiously woven into an involving programme. 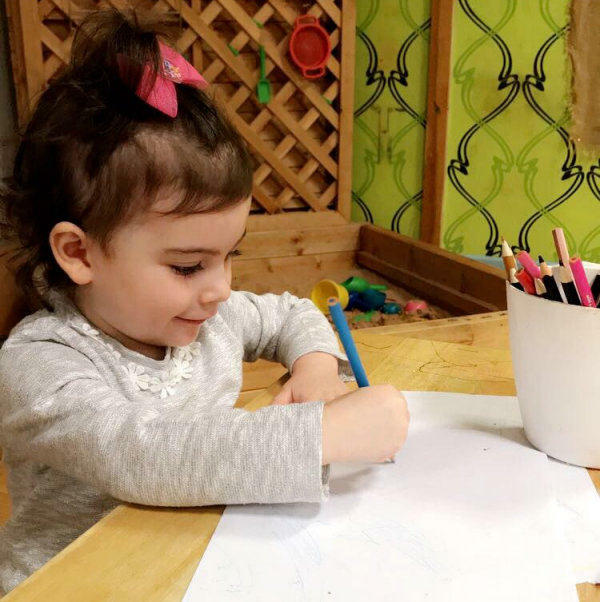 This places as much emphasis on simple learning concepts like colours and numbers as it does on fine-tuning a child's basic balance, agility and co-ordination. For more information visit: Little Kickers. 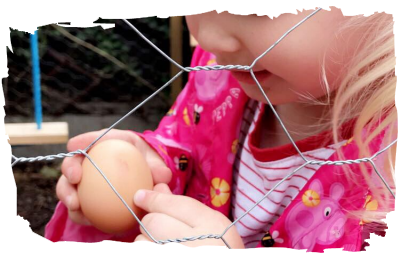 The children enjoy accessing the garden daily visiting our pet chickens. 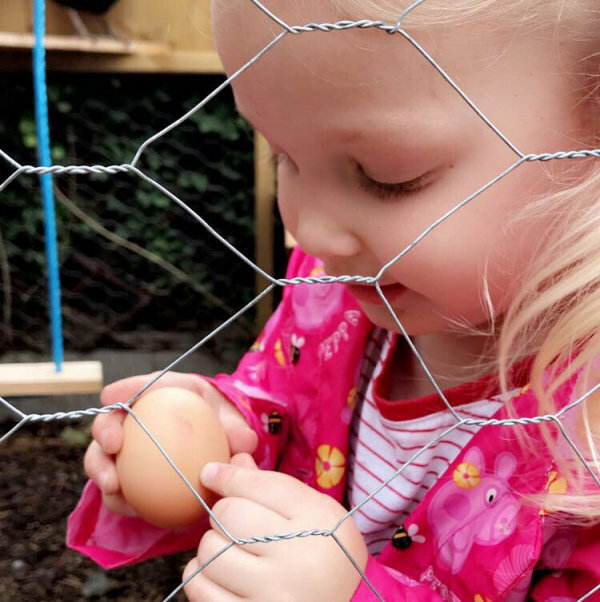 The provision of pets within the setting provides the children with a wealth of learning opportunities regarding what animals need to live and thrive and the importance of taking care of them throughout the year.